Asserting that he was a 'big fan' of India, Republican candidate Donald Trump played a major diplomatic card saying that if elected as President, the India and Hindu community would have a true friend at the White House. Addressing a charity event organised by the Republican Hindu Coalition, Trump brander India as a key strategy ally and made a sweeping declaration that India and the US would become 'best friend' with a phenomenal future, if he comes to power. "Under a Trump Administration, we are going to become even better friends. In fact I would take the term better out and we would be best frineds. We are going to have a phenomenal future together. I look forward with Prime Minister Modi," Trump said, as he lauded Prime Minister Narendra Modi's efforts to boost the economic development in India. 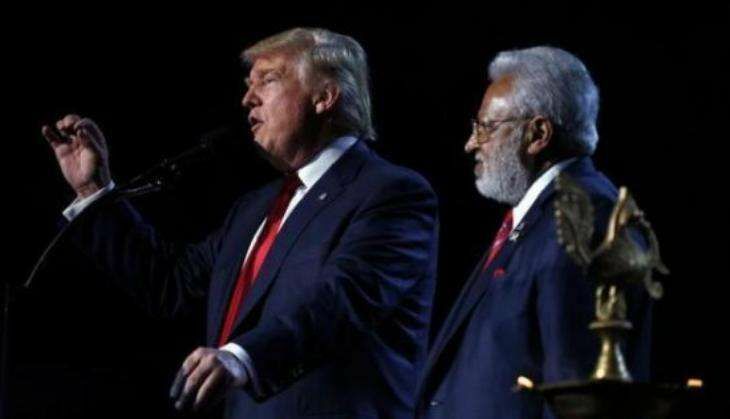 Wooing the Indian community in the US, and sending a message out to people in India, the flamboyant businessman asserted that he has full faith in the Prime Minister Modi and that the Indian and Hindu community would have a true friend at the White House if he was elected as President. Hailing India's fight against terrorism, Trump stated that India has been a 'great friend' to the US in the fight against radical Islamic terrorism, while he strongly condemned the 26/11 Mumbai terror attacks. "I love Mumbai city. The attack on India was absolutely outrageous. The US will share soldier to soldier together in the fight against terrorism, he said.